of our Game of the Month(s)! We didn't do a Review Round-Up last month due to only having one review, so we've combined the September and October months into one nice and neat Review Round-Up. 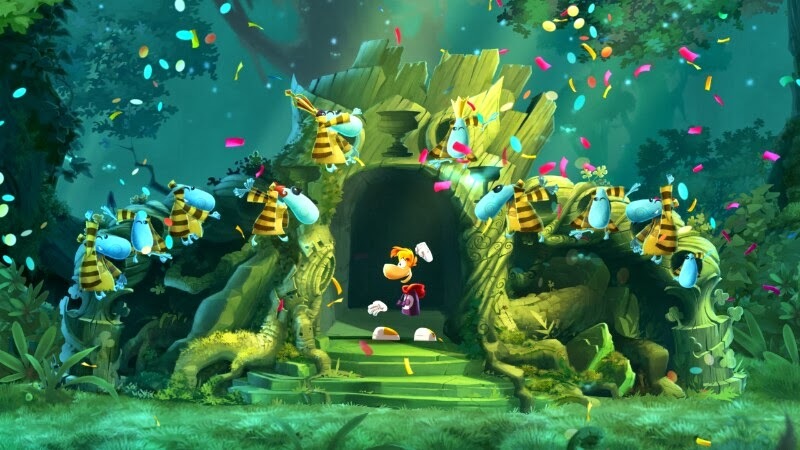 The lone review for September occurred early in the month, and that was delayed-and-ported Rayman Legends, which leaped its way into a 9.0. We then followed that up a month later with a retro review of Metroid Prime Hunters (8.0). We miss you, Samus! Next up, Mario and Luigi were one dreamy combination in Mario & Luigi: Dream Team, given a 9.25 by Bean. Platinum Games's The Wonderful 101 marched to victory and saved the universe with an impressive 8.0. 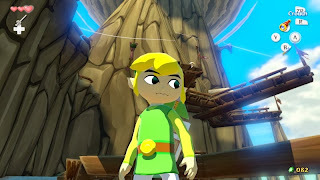 Our game of the month(s), The Legend of Zelda: The Wind Waker HD earned itself a 9.5, surpassing what we would give the GameCube original. We brought back Better Late Than Never Reviews with our look at Pokemon Mystery Dungeon: Gates to Infinity, which we liked more than the majority of reviewers. We gave the game an 8.0. Lastly, we had a special Halloween review of Puppeteer, a brave new title from Sony's Japan Studio. It was a cut above a lot of other games being released, so that's why we gave it an 8.5. 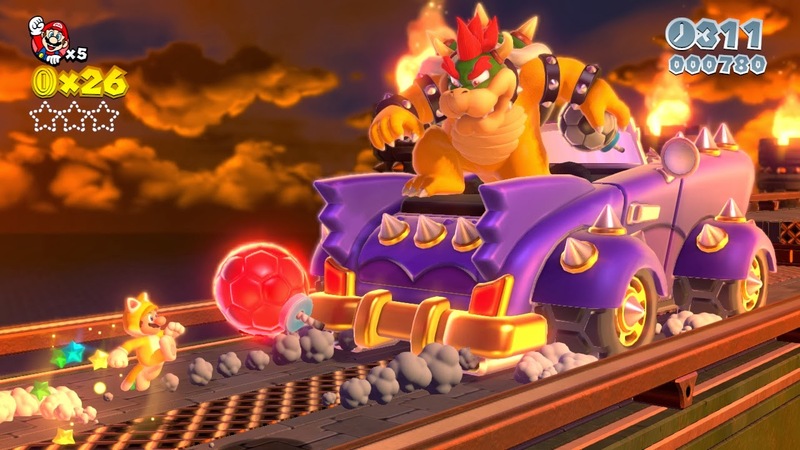 November is set to be strong with reviews of Super Mario 3D World, Sonic: Lost World, and more! but SuperPhillip Central still loves you. The leaves are beginning to turn, so that must mean we're in the deep stages of autumn now. November is here, so it's time for a new Central City Census to be posted. Before we get to that, let's take a glimpse at last month's results. October 2013's CCC asked which of the three eighth generation consoles would you be planning on owning by the end of this year. The majority of you are sticking with only the Wii U for now. That makes sense to us, as the Wii U will have the most interesting library since the Xbox One and PlayStation 4 won't have as long a period of time to establish their own libraries. In second place, 17 of you said you weren't getting of the three. Next in line, 15 of you stated your next gen combo for this year will be the PS4 and Wii U. Not a bad combo at all. We thank all of you for your votes! Publishers seem to be increasingly heading more towards digital distribution for selling their games. Concerning this eighth generation (Wii U, PS4, Xbox One), which route are you primarily going to go-- retail or digital? Census will close on December 1. It's the first of the month, so do we even have to ask you what time it is? Okay, we'll do it anyway. It's time to check out what are the most interesting games to be releasing this upcoming month. November is the start of the holiday shopping season, and you can bet that video game publishers are putting out their big guns this month. November 2013 will mark the debut of not just one, but two brand-new gaming consoles to the market. With them comes a host of new titles to get hyped on. SuperPhillip Central has taken the liberty of listing the top twelve titles that you should be anticipating. As always, release dates are subject to change, and these releases are based off the North American launch dates. Which games will you be picking up? This year, the Call of Duty franchise has some fierce competition. 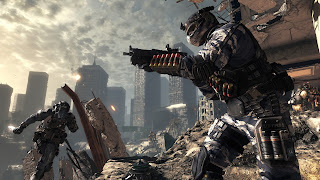 Battlefield 4 released last month on current generation platforms. 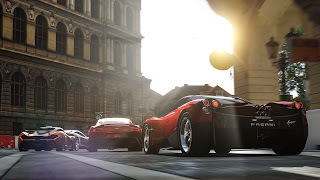 It will also release on next gen platforms. 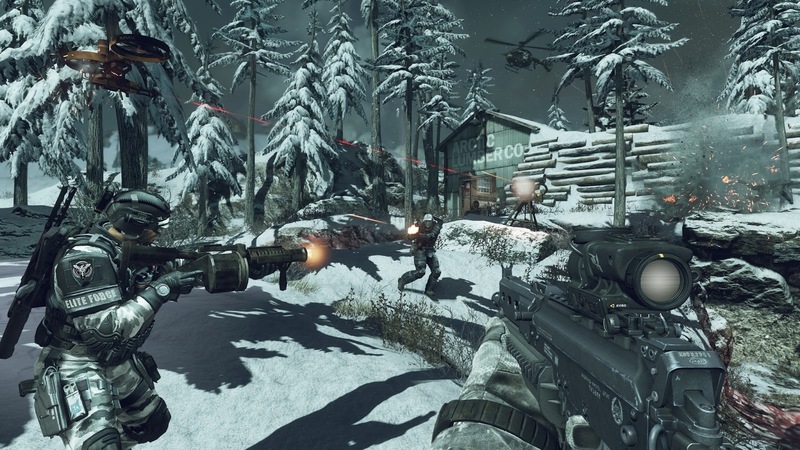 The latest in the Call of Duty series, Call of Duty: Ghosts, will release on current generation systems in four days, and will also appear on Xbox One and PlayStation 4 close to their respective launches. 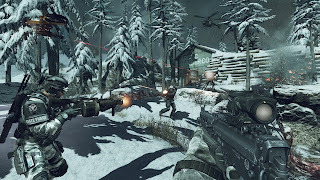 By now, gamers know what to expect with Call of Duty-- intense gunfights, militaristic action, and perk-based multiplayer. While we don't really have a soft spot for the Call of Duty series, we understand why the series successfully entertains other gamers year after year. 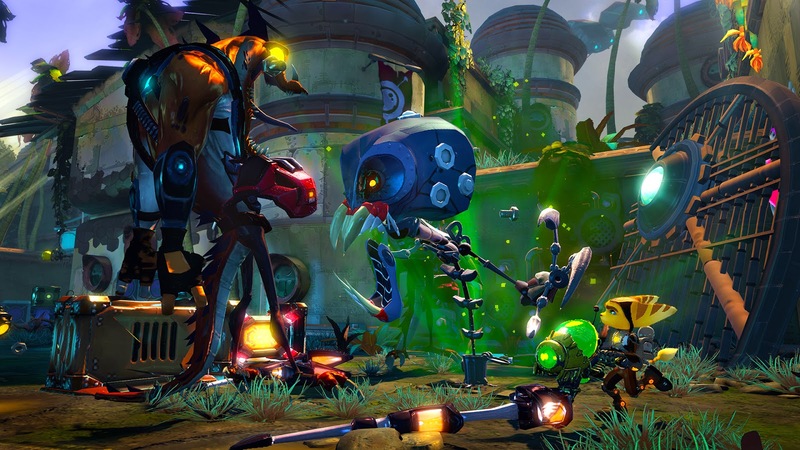 After several failed experiments with the Ratchet & Clank series with All 4 One and Full Frontal Assault, Insomniac is returning the franchise to its roots with Ratchet & Clank: Into the Nexus. The game will feature a whole slew of new weaponry to upgrade and gadgets to assist Ratchet and Clank in their adventure. Many characters from past games, including Captain Qwark and the gang from Thugs-4-Less from Going Commando, will also be present. 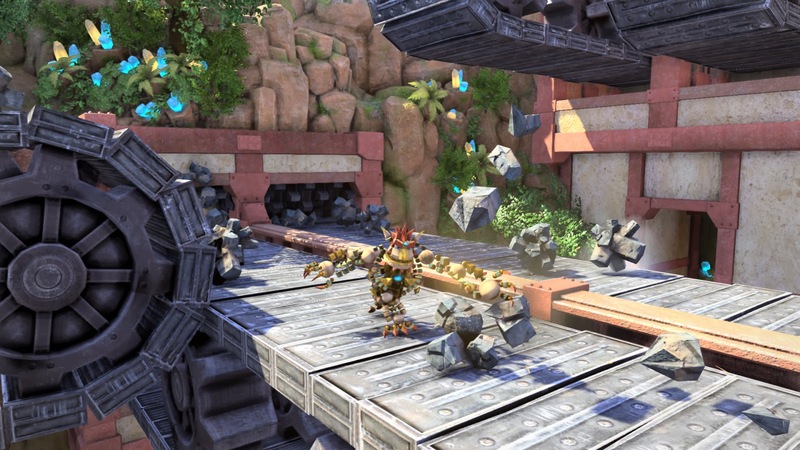 Outside of the 3D sections of Into the Nexus, special 2D platforming puzzle segments starring Clank will be featured. 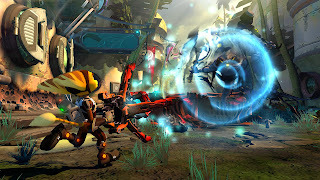 We can't really say no to classic Ratchet & Clank gameplay with a budget price of $29.99. We hope you can't either! 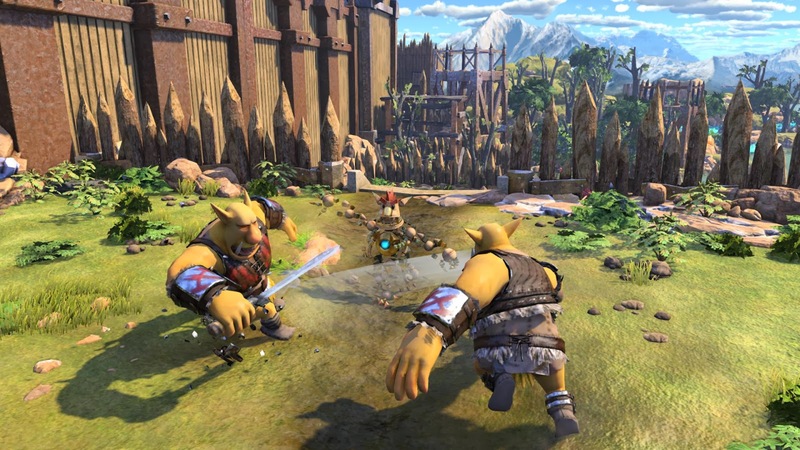 The PlayStation 4 has suffered from delays in a handful of key launch titles. That hasn't stopped the deserved hype for the platform's launch, however, which just so happens to be two weeks from today. 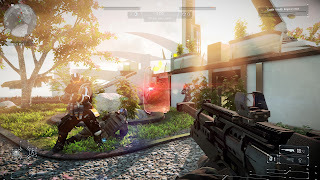 Without a doubt the most talked about launch title for Sony's new hardware is Guerilla Games's Killzone: Shadow Fall, a first-person shooter that will be a great technical showcase of the PlayStation 4's hardware. While the genre is one that we suffer fatigue from, we're certain that many new PlayStation 4 owners will enjoy a return to the Killzone universe when the game launches on November 15. 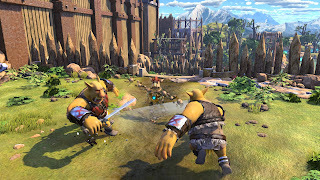 We're such suckers for a good action game, so was there ever any doubt that we'd be most excited for Knack as our most anticipated PlayStation 4 launch title? Game director Mark Cerny has been quoted as saying the game can be viewed as a combination of Crash Bandicoot, Katamari Damacy, and God of War-- an interesting mix of games for sure! The titular hero can use other substances and merge them with his body depending on the level to solve puzzles and take down enemies. We're also anticipating this title, as it comes from Sony's Japan Studio, a studio that didn't deliver much output this past generation. 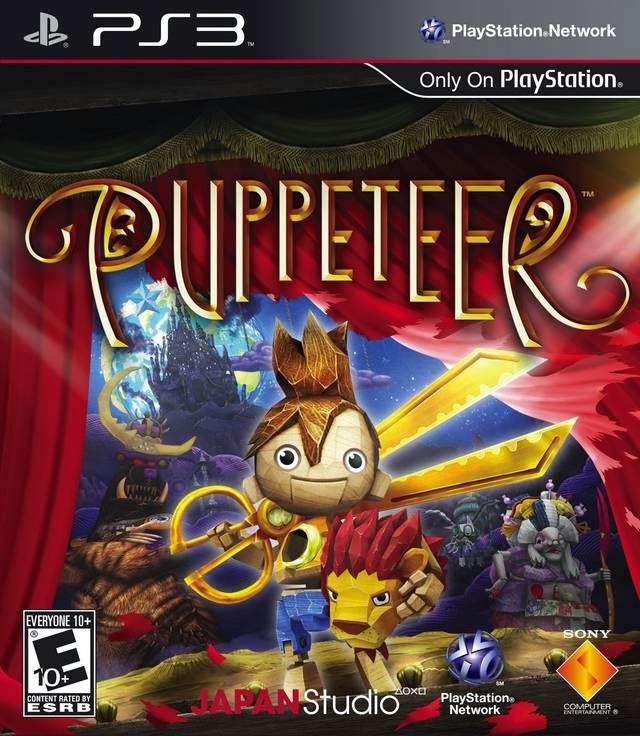 One of the games they did deliver, however, Puppeteer, was a great one. A cross-gen release, Need for Speed: Rivals returns the series to an open world setting, much like its predecessor, Most Wanted. 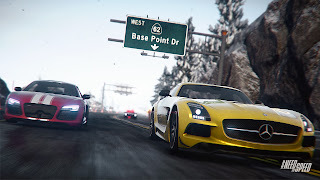 The game will feature a myriad of racing types, as well as dynamic weather system to make the game world seem much more alive. The choice is available for players to become a racer or a cop, and you can be sure that each side will possess its own set of unique challenges, meaning one should eventually play both sides to get the most out of the game. Autolog from Need for Speed: Most Wanted 2012 returns, allowing players to challenge their friends and compare times. 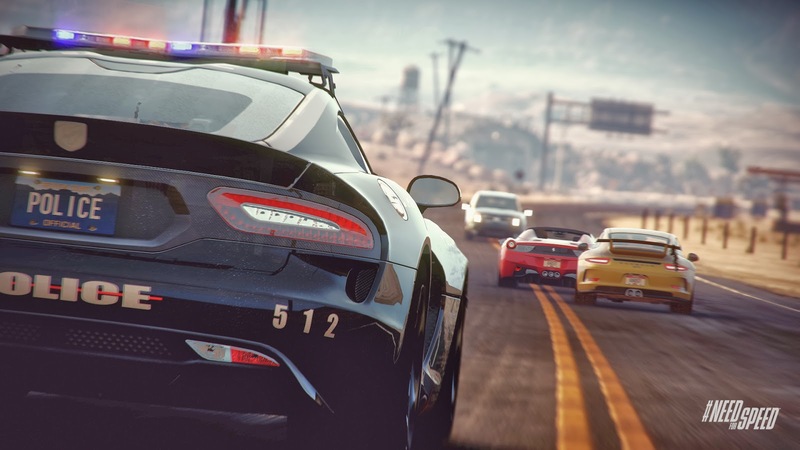 If you have the need for speed, Rivals will give it to you when the game releases on November 19. November 22 is a big day for releases, and obviously the biggest is the launch of the Xbox One. It's been a console mired in controversy, and while we have no plans to purchase one anytime soon, we have to admit that the launch lineup is much more appealing than what the PlayStation 4 offers. Forza Motorsport 5 is an absolutely brilliant-looking racing simulator with some stunning visuals. It's the type of title that you can show to your friends and family and go, "yes, THIS is the power of the Xbox One." Of course, it doesn't hurt that the Forza franchise is always highly entertaining, too! 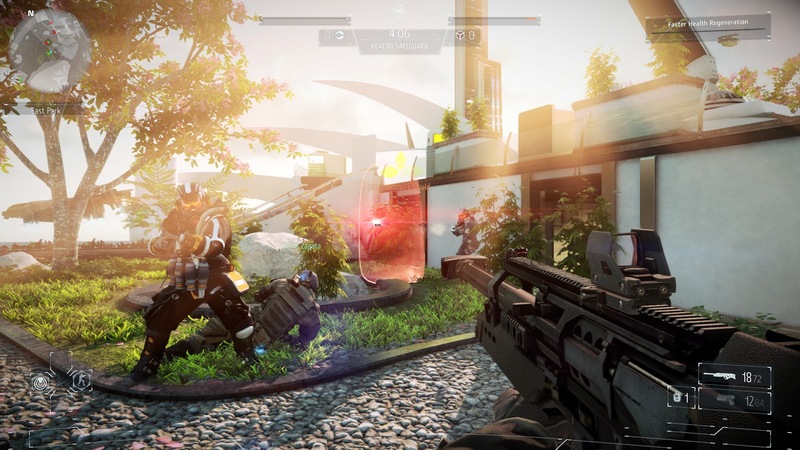 The team behind Crysis delivers this Xbox One exclusive launch title. 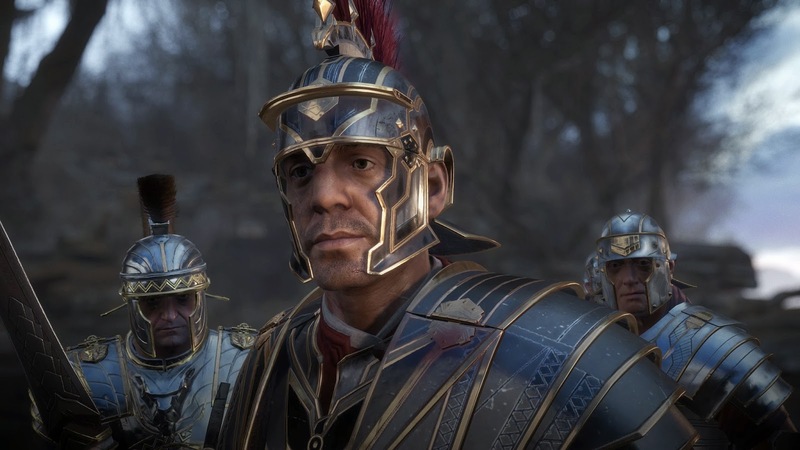 When Ryse: Son of Rome debuted, many were not impressed with what was present content-wise. 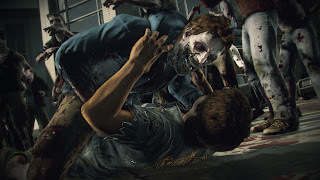 There were many quick-time events involved, which many feared dumbed-down the gameplay. 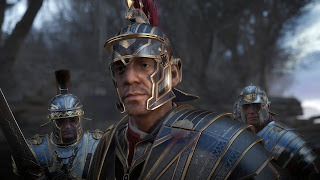 The trailers that followed eased many gamers' concerns, and this action-adventure title set in alternate universe of the days of the Roman empire seems like one of the top Xbox One launch titles to pick up when the system and the game releases November 22. One of our favorite new franchises from the seventh generation of consoles (Wii, PS3, X360) was Dead Rising. While it wasn't everyone's cup of tea, due to requiring adept time management skills, the original is our favorite Xbox 360 exclusive. Dead Rising 3 takes the series to new heights with a larger environment to explore, a new character as the star, and the same craziness of gameplay that makes killing zombie after zombie an engaging activity. 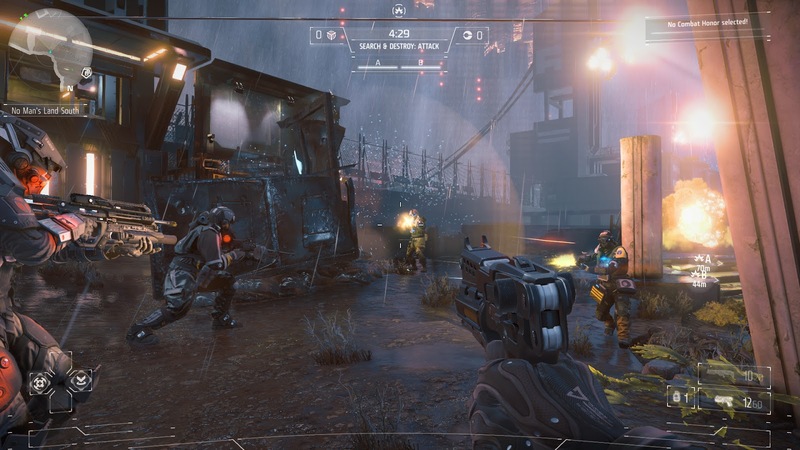 Throw in some psychopaths as bosses and practically anything you find can be used as a weapon, and you have a captivating Xbox One exclusive. 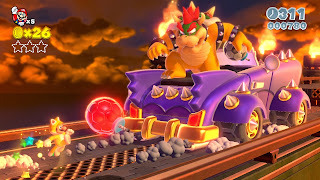 Since we're such big platformer fans here at SuperPhillip Central, you can be rest assured that we're insanely hyped for Mario's 3D platformer debut on Wii U. 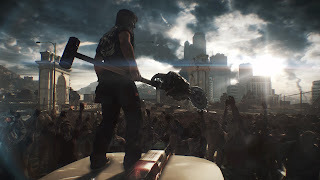 At E3, the debut trailer didn't really excite a lot of people, but subsequent footage has certainly hyped a plethora of gamers. We feel foolish for ever doubting Nintendo EAD. 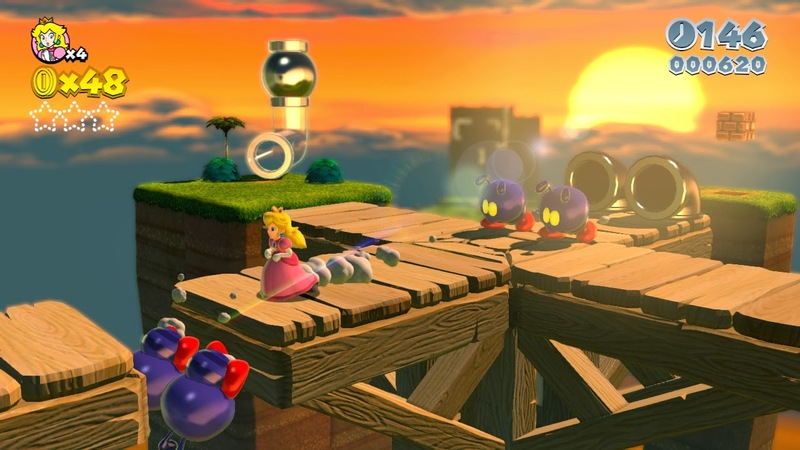 The number of interesting ideas present in Super Mario 3D World makes us giddy with excitement. We'll have a full review of Super Mario 3D World when it hits store shelves November 22. The Zelda team has recently been trying to defy expectations of what a Zelda game should be. 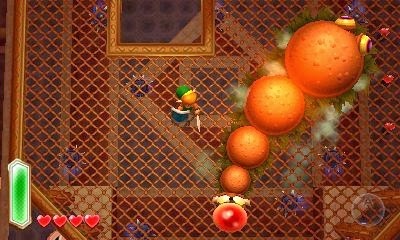 Their latest attempt at something fresh for the franchise is The Legend of Zelda: A Link Between Worlds. The shake-up for this game involves renting items instead of earning them in a dungeon, using found item to solve said dungeon's puzzles, and then using that same item to defeat the dungeon's boss. 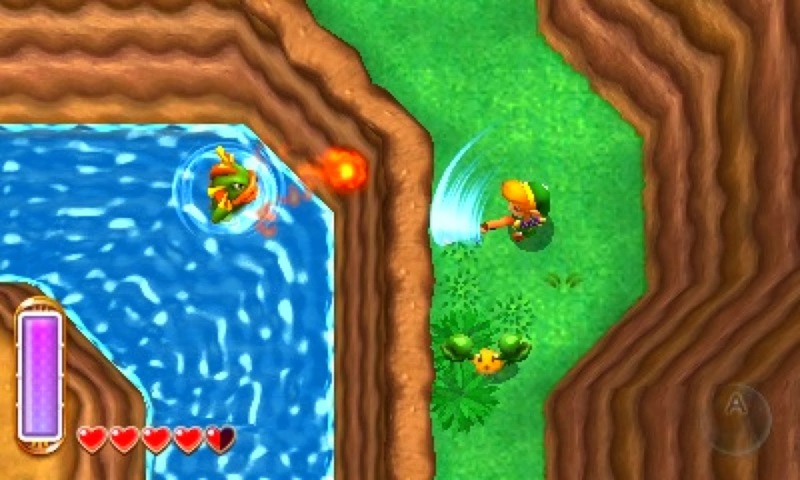 A Link Between Worlds takes place within two parallel worlds, Hyrule and Lorule. 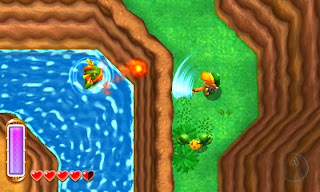 As big fans of A Link to the Past, the nods to that game present in this new 3DS installment can't stop us from being insanely happy. 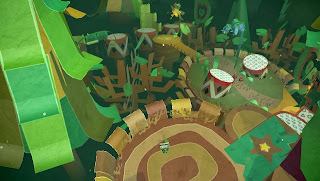 From the creators of the fantastic LittleBigPlanet, Tearaway is a PlayStation Vita exclusive that utilizes practically all of the system's unique features, such as the rear touch screen and frontal touch screen of the system. 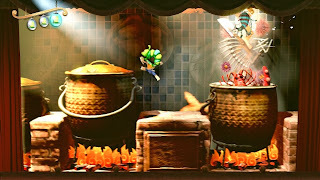 Players can choose between a male character or a female character at the beginning of the game, and then enjoy a platforming adventure that will most likely capture the imagination of its players. 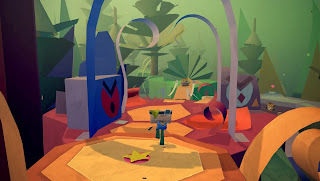 Media Molecule has a great track record with their games, so questioning the quality of Tearaway seems to be a bad gamble. We anxiously await our chance to try out Tearaway when it releases November 22. The awesome Ys series finally debuts on the PlayStation Vita in North America on November 26. 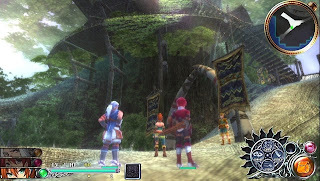 The game once again uses the character of Adol Christin, who at the beginning of the game suffers a not-so-nifty case of amnesia. 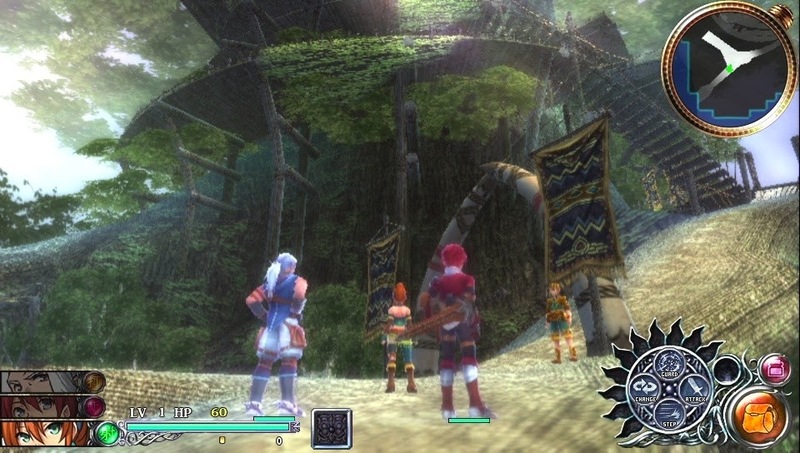 Through exploring the forests of Celceta, Adol will piece together who he is. 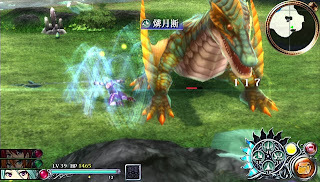 Ys is known for being a fantastic action-RPG franchise, and with the upgraded visuals allowed by the Vita, Memories of Celceta looks to be one of the more exciting games in this already entertaining franchise. Tuesday's review made for a really long headline! Today's review, a special Halloween night one, has a headline that's really short! We don't know why we felt the need to address this, but there you go. Today's review is for a severely overlooked 2 1/2D platformer for the PlayStation 3, Puppeteer. Sony's Japan Studio has been rather quiet on the PlayStation 3, releasing very little for the platform. They have finally come out of hibernation/off hiatus to deliver to PlayStation 3 owners the ultra-quirky and super-charming Puppeteer. 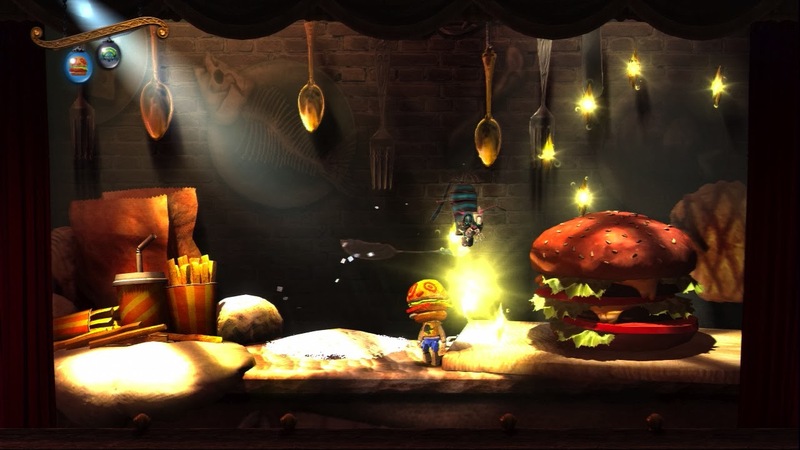 Is Puppeteer a cut above the rest, or is playing it "shear" torture? The Moon Bear King was once loyal to the Moon Goddess, but he soon overthrew her, stole both the Black and White Moonstones (the latter being broken by the Moon Bear King and given to his 12 Generals) and went on to start his rule on the moon. When the moon is lit, the Moon Bear King steals the souls of innocent children and turns them into his controlled grunts. One such boy is Kutaro, who unluckily the Moon Bear tyrant decapitates, swallows his head, and tosses our protagonist aside like garbage. However, Kutaro gains the aid of several allies, finds replacement heads, and steals the mystical pair of golden scissors known as Calibrus. With all of this, Kutaro hopes to regain his head and head back home where he belongs. Calibrus is invaluable to Kutaro's quest. With these sensational shears, Kutaro can cut across rugs, flags, and other cut-able objects to use them as a means to cross chasms and reach high up platforms. As long as there is something to shear through, Kutaro can stay in the air. There are even threads that Kutaro can cut along, sending him traveling across a predetermined path in fast fashion. 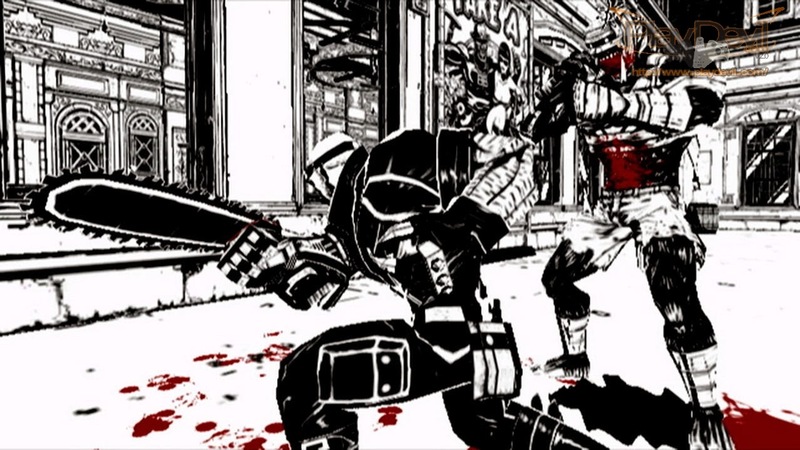 Calibrus is also used for combat, allowing Kutaro to slice and dice grunts, saving children's souls in the process. Kutaro is certainly one kooky cut-up. Outside of Calibrus, Kutaro gains other helpful items along his adventure. 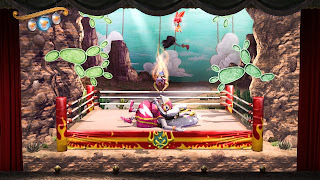 There is a shield that grants Kutaro the ability to deflect and guard against certain attacks, a chain that can pull enemies, objects and larger obstacles towards Kutaro, and an item that gives Kutaro the ability to body slam enemies and objects, as well as push and pull certain points of interest. These items increase the skills in Kutaro's repertoire, and they allowed more possibilities to Puppeteer's superb level design. to properly use new abilities. 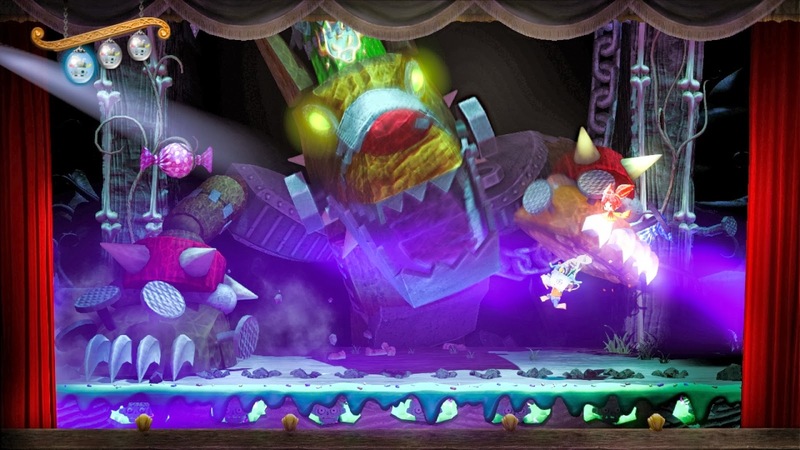 Something that Puppeteer really gets right are the boss battles, which are creative through and through, much like the game they are featured in. Calibrus certainly gets a workout in these frantic fights. One such battle early on has Kutaro facing off against General Tiger. When the fierce feline smashes his palm to the ground, he emits an electric charge. 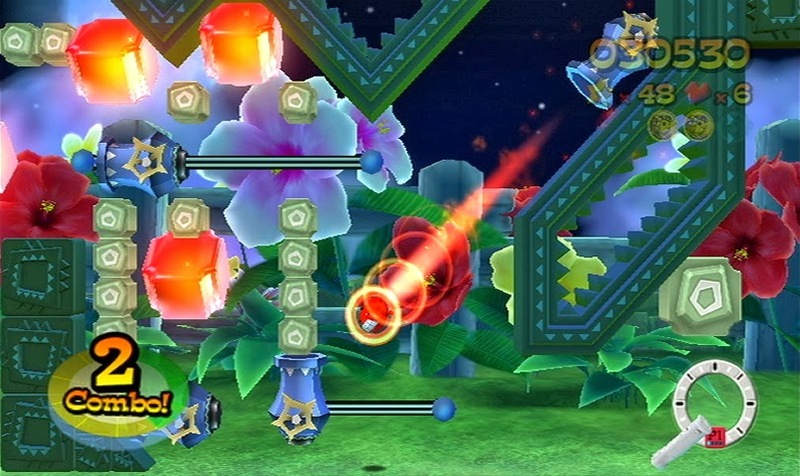 Through leaping over it, Kutaro can then use his shield ability to give the swiping General's hand a world of hurt. When his hand hurts enough, General Tiger's fur will allow Kutaro to climb it by having Calibrus cut it and traverse up the tiger's arm, eventually taking out one of his sharp fangs. Thanks to the tyrant known as the Moon Bear King, Kutaro is without his own head. Thus, our hero needs to fill that empty space where his noggin should be with other objects. Through using your partner similar to a mouse cursor and tapping the R2 button to investigate areas of interest, Kutaro can come across objects that can be substituted for his head-- things like spiders, crowns, fossils, and even burgers! When damaged, Kutaro's current head falls off and bounces around. For a limited time, he can recollect his head, but it will eventually disappear. 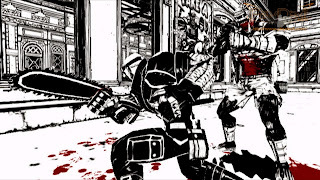 Kutaro can hold up to three heads, but if the last one in his collection disappears and gets lost, the player loses a life and must restart from a checkpoint. The concept of collecting different heads sounds nice, and it would look appealing on a feature list for Puppeteer. However, the way it is executed leaves a little to be desired. 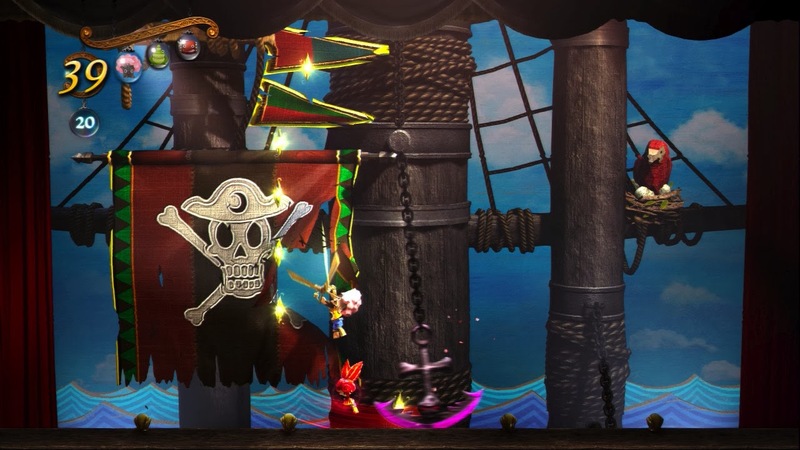 Outside of accessing hidden bonus areas or collecting secret Moonsparkles, using a specific head at a specific spot in Puppeteer doesn't do anything. I kept telling myself, "If only each head had its own power to use at any time, this game would be much more interesting." As it stands in Puppeteer, different heads are merely there as a cosmetic change and little else. as you make your way to its head. Having the right head for the right situation to reach a bonus area seems completely random. It's basically a crap shoot on whether or not you have the correct head the first time you come across a place where you are meant to utilize your head's ability. 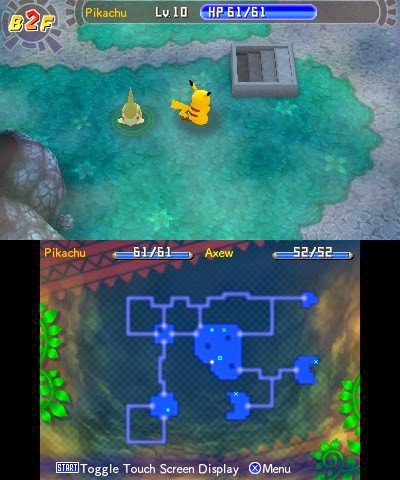 There are plenty of bonus areas that can only be accessed by returning to a previous level with a head gained from a later level. It just seems like an artificial way to extend the game, especially as many levels just go on for way too long. in Puppeteer, which is a shame. One of the reasons the levels seem to go on forever is that there are a lot of sections of story exposition thrown in that break up the platforming. It's charming at first, but eventually you grow tired of watching scene after scene. 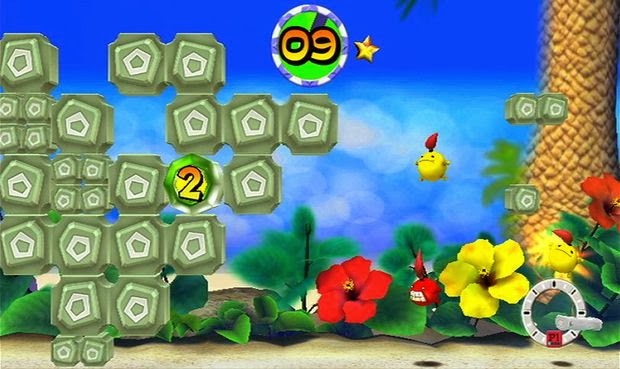 Even though these can skipped, you have to pause the game and select "Skip" each time. This is a further frustration when there are multiple story segments in a row. 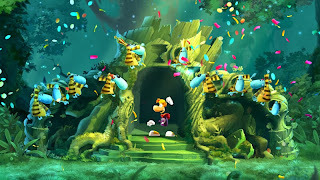 Quite frankly, these otherwise charming scenes become intrusive to the gameplay, and really, the last thing platformers fans want in the genre are to be taken out of the running and jumping for extended periods of time. Despite all this, Puppeteer is still a very fun and engaging game. There are seven acts, each housing three curtains (or levels) each. Each level has a number of souls to save, heads to find, and a bonus area to complete. Completing all of this in the game's 21 levels is no simple task and will make even the most veteran of gamers feel the challenge. Puppeteer has a lot of content, so someone who picks the game up will have a meaty title to play through. Puppeteer is presented like a play. There's even an audience (though unseen) that applauds, cheers, and gasps depending on what happens on the stage. This is extremely clever in how it is done. Worlds and levels are made up of arts and crafts and characters are as whimsical as you'd expect. 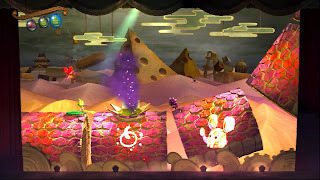 The art design is really well done and ensures that Puppeteer doesn't look like any other game on the market. The voice work is also implemented in fine fashion, having a narrator and cast that doesn't mind breaking the fourth wall consistently. The music is also fantastic, performed by an orchestra and presenting the player with mysterious and marvelous pieces to listen to. While the gameplay might leave a little something to be desired, the presentation of Puppeteer is among this year's best. Talk about a bad case of acne! 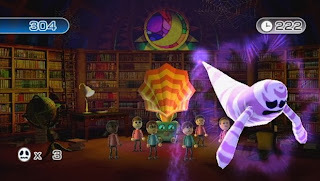 Puppeteer might not be the most properly executed 2-1/2D platformer on the market, but it truly does fill a hole in the PlayStation 3 library. 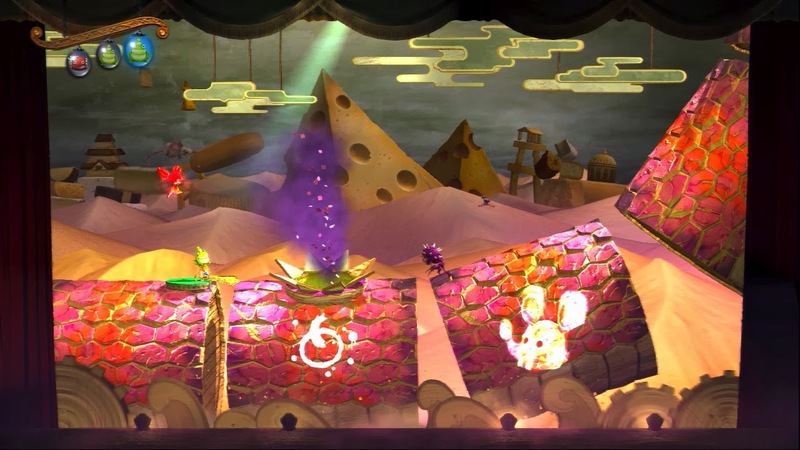 It might be too niche for the mainstream market, but those who give Puppeteer a chance will find a game that plays well, and is charming, challenging, and cheap to buy. 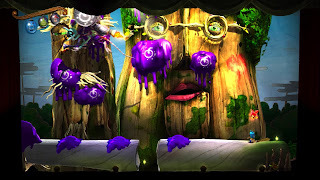 The concept of heads might not have been fully realized, and story elements might destroy any kind of flow within the game, but these gripes aside, Puppeteer is the kind of game that won't string you along. When we read from some gamers that the Nintendo Wii had a small selection of titles that were worth playing, we just roll around laughing to their ignorance. Then, we realize, "okay. That's subjective, so we can't make fun of them. We can only greatly disagree." 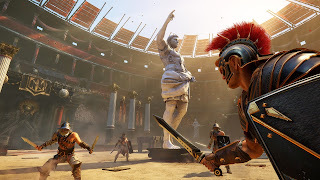 The Most Overlooked series of articles talks about games that are worth playing that a good portion of the gaming community or consumers simply did not play. The sales numbers were low, the hype was nonexistent, etc. This is most likely our final look at the overlooked titles of the Wii's actually wide-reaching and varied library. Join us for Part Eight of Most Overlooked Wii Games, all of which can be played on your Wii Us, if you wish! 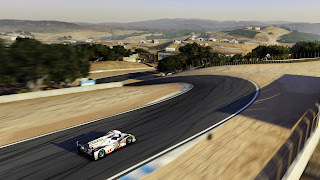 For those who haven't seen previous installments, here are some links for you! Platinum Games has a bit of reputation for creating excellent, niche games that simply don't sell all that well. 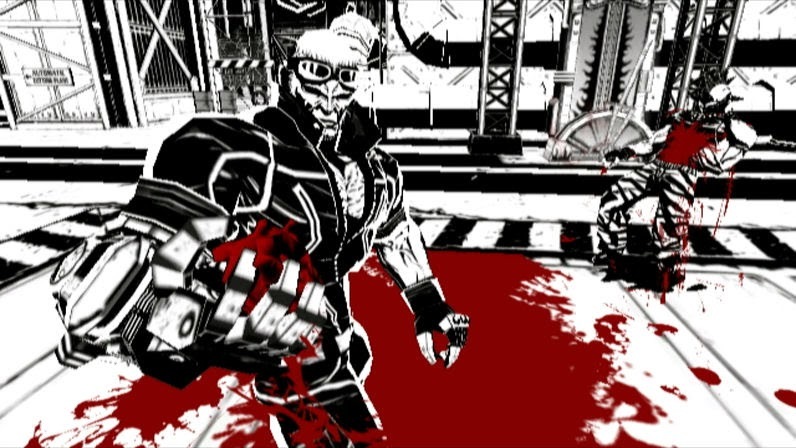 MadWorld was something that was obvious to say it was doomed from the word "go." It was released on the Wii, which wasn't exactly the market for a black and white (and red) gritty, ultraviolent action game. Perhaps had it released earlier in the Wii's life cycle when titles like Red Steel, Resident Evil 4: Wii Edition, and Resident Evil: The Umbrella Chronicles were actually selling, then Platinum Games and SEGA would have had a better shot. Regardless, if you enjoy taking a chainsaw and slicing foes in half, slamming stop signs into the craniums of foes, and taking down bosses big and small, MadWorld might be a good game for you. 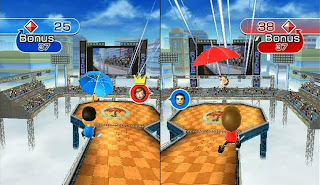 A game that came packaged with a Wii Remote Plus, Wii Play Motion was released at a time where "Wii fever" was pretty much over-- thanks to Nintendo itself mostly. Regardless, this mini-game compilation featured plenty of interesting takes on the more capable motion controller of the Wii. 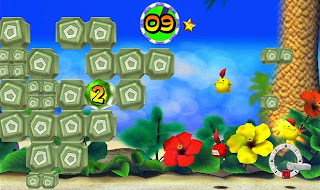 A fun fact about the game was that a different studio worked on each mini-game. Some favorite mini-games that were in the twelve game package included Wind Runner, a game where you raced through a twisting course using the wind to give you speed, and Veggie Guardin', whose premise was based off of Whac-A-Mole. 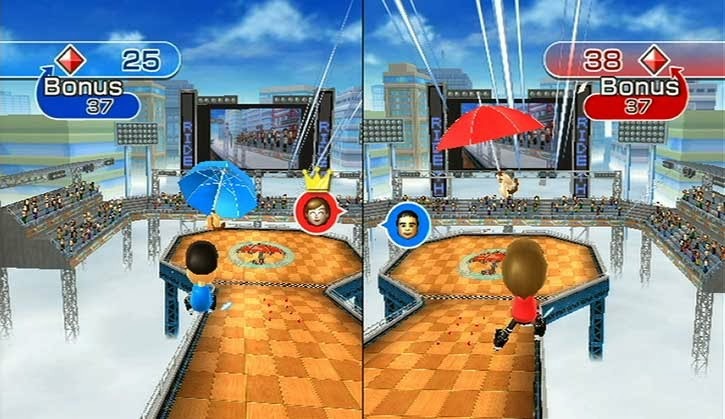 Not all of the games were winners, but overall, the package which was Wii Play Motion delivered enough innovative and engaging activities to make it a fair addition to one's Wii collection. 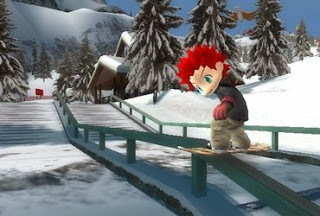 Coming off We Ski, Namco Bandai gave Wii owners a second trip to the slopes with We Ski & Snowboard, the latter using the Wii Balance Board to have the player shift their weight to guide their character down the snowy and icy terrain. The game gave players the entire mountain to explore from the very start, and completing events and satisfying certain conditions meant unlocking new clothing and gear. 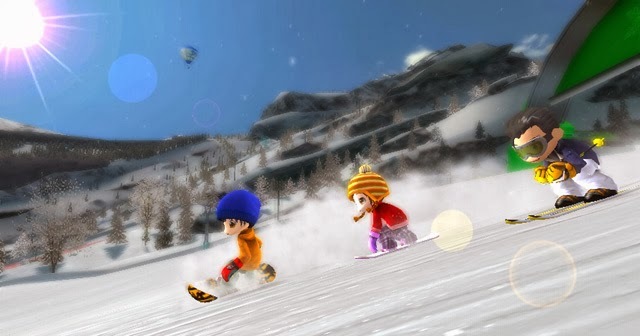 With winter fast approaching now, it seems like a great time to check out this underrated gem in the Wii's often overlooked library. We're suckers for old school 3D platformers. You know, stuff from the PS1 and N64 era. 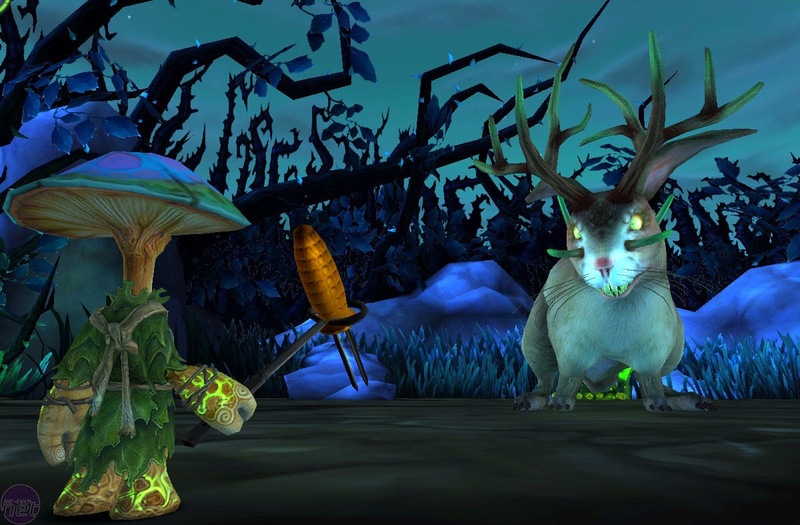 Mushroom Men: The Spore Wars was one of those titles that harked back to a simpler time in gaming. We weren't concerned with 1080p vs. 780p. resolutions, and we didn't argue on message boards over a game running better on system X versus system Y. 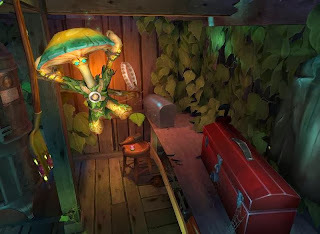 Mushroom Men was a fun platforming romp, if not a bit by-the-numbers, a complaint that some review publications had. We welcomed this formulaic approach, as there were so few games of Mushroom Men's ilk around. 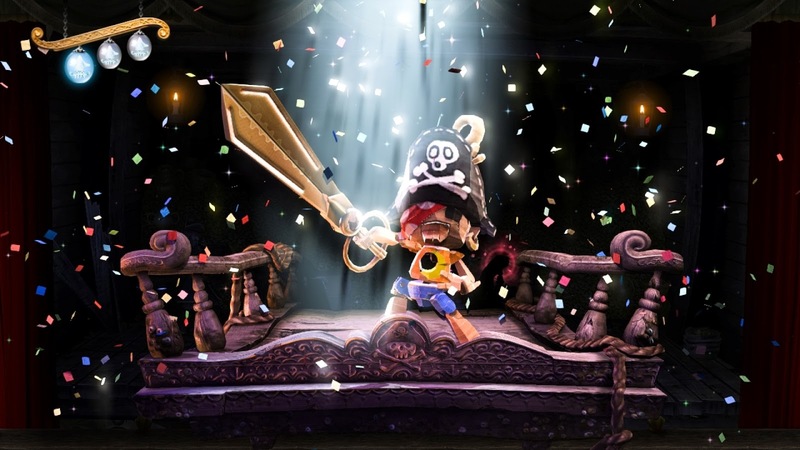 Even today we're still not seeing a lot of 3D platformers around. Mushroom Men: The Spore Wars can easily be found for a budget price, and it's worthy of trying out. What a long-winded headline! Anyhow, while many Pokemaniacs are deeply engaged with Pokemon X and Pokemon Y, we have a review for another Pokemon game. However, this one released earlier in the year and is not of the same genre. 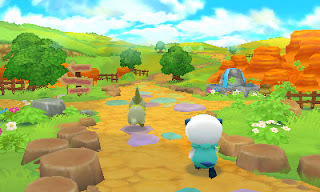 Pokemon Mystery Dungeon: Gates to Infinity brought the Pokemon Mystery Dungeon spin-off series into three-dimensions. Here is our review. To the Gates to Infinity and Beyond! The Pokemon brand is one that isn't just limited to the mainline games, releasing a new generation once every few years or so. No, Pokemon is a brand that has spun off into many sub-series and games, such as Pokemon Snap, Pokemon Stadium, Pokemon Ranger, Pokemon Rumble, PokePark, et al. 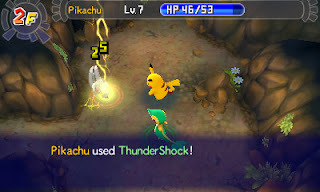 One such spin-off series is Pokemon Mystery Dungeon, a series that dates back to the Game Boy Advance. 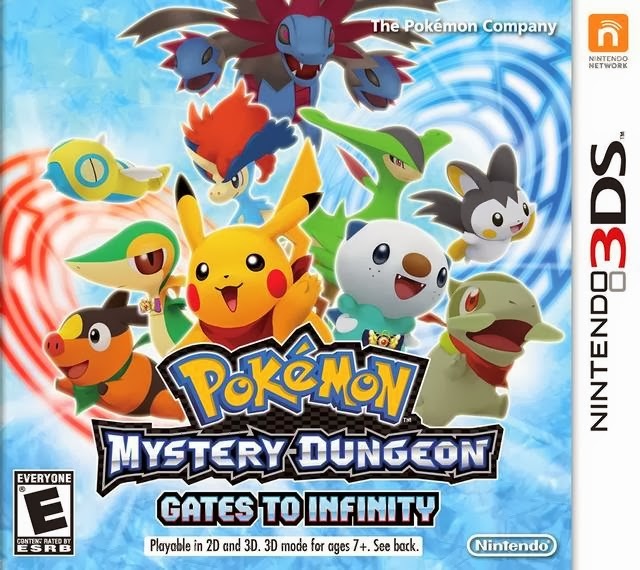 The latest addition to this sub-series is Pokemon Mystery Dungeon: Gates to Infinity for the Nintendo 3DS. It foregoes the 2D sprites of past games with fully polygonal 3D models for characters and backgrounds. Should you bother to explore Gates to Infinity's world? and one that serves as your partner. Pokemon Mystery Dungeon: Gates to Infinity's story begins with you, the player, receiving a cry for help within a dream. 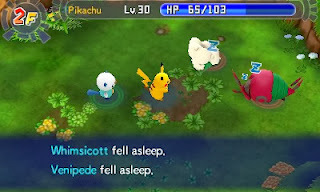 When you wake up, you find yourself within the Pokemon world, yourself turned into one of a handful of Pokemon choices, such as Pikachu, Axew, and Tepig, for instance. You also select your Pokemon partner, which will join you throughout your adventure. What the actual adventure comes down to is that the Pokemon world is in danger of destruction, and only you have the power to save it. The story is rather enjoyable, with various intriguing plot points. The problem, however, is just how chatty the Pokemon are. This wouldn't be an issue if you could skip dialogue or speed through it somehow. This isn't possible, however, making for occasional long sessions of dialogue that the player needs to sit through. 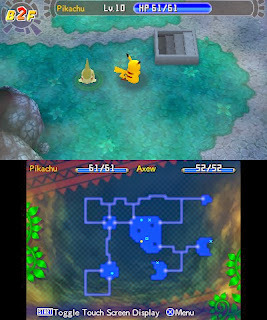 Still, the interactions between Pokemon are really endearing, so I can't really say I didn't enjoy some conversations. These Pokemon can be Chatty Cathys. 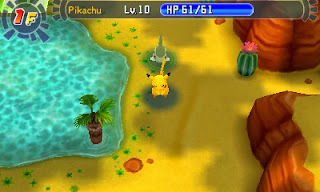 Think of Pokemon Mystery Dungeon as a beginner's take on the Mystery Dungeon genre (i.e. roguelike). You explore dungeons that are randomly generated-- each time you visit a dungeon, the layout is completely different in its design of hallways and chambers. 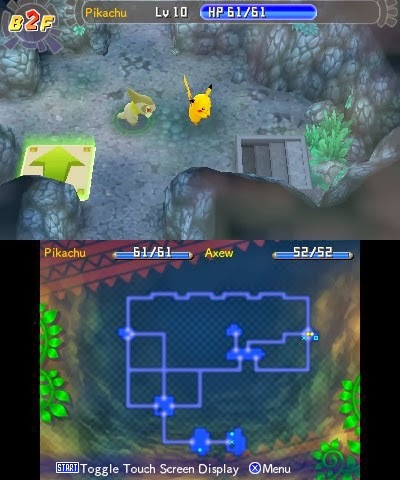 Your goal is to defeat enemy Pokemon as you traverse through each dungeon, finding the stairs that will take you to the next floor until you reach the end. At the end is usually a boss fight or a Pokemon that must be saved or defeated. Found it! The way to the next floor! Movement within a dungeon is on a grid. You can move in eight directions, and each time you move one space or perform an action such as using an item, attacking, or using one of your Pokemon's four abilities, every other Pokemon in the dungeon also gets to move once or perform an action. Like the main Pokemon games, each Pokemon and ability has its own type or types, like Fire, Water, Electric, Grass, Rock, and so forth. The rock-paper-scissors approach to Pokemon battles is still present in Pokemon Mystery Dungeon. For example, an Electric move on a Water Pokemon will be super effective, causing major damage, while a Grass move on a Fire Pokemon will hardly make that Pokemon flinch. moves at various different levels. This is pretty much where the complexity of the game ends. It's very basic combat. It's easy enough to gain levels that you can pretty much plow through any battle or boss fight with little danger. 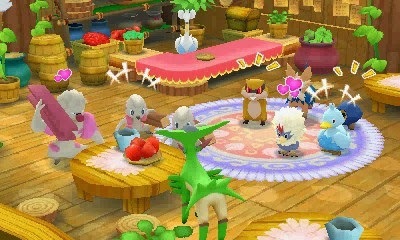 The addition of items that can make enemy attacks miss the player's party more or revives a fallen Pokemon makes the game even easier. I was able to get through most combat situations without even using defensive items. All I needed were healing Oran Berries, as if your or your partner's HP hits 0, you fail the current dungeon. this game might make you fall asleep, too. Dungeons themselves aren't too interesting either. They are pretty much the same in structure only with a different aesthetic. By the third or fourth floor of a ten floor dungeon, I started to grow bored of the environment and running through the same room types and long hallways leading to dead end after dead end. Yes, there are some things to liven up dungeons, such as some floors taking away the ability to regenerate HP through movement, but these don't liven things up enough. Extra dungeons unlock after the game is beaten, a 20-hour task, and special dungeons can be created on the fly through using the Nintendo 3DS system's camera to find circular objects within its viewpoint. we have a Pokemon world to save! Pokemon-wise, what is available is only an extremely small sampling of pre-fifth generation Pokemon. Every other Pocket Monster is from the Black and White games. As someone who skipped out on playing heavily through both titles, I didn't recognize a good majority of the Pokemon represented. Still, there are some very nice designs present. Occasionally, you will defeat a Pokemon and they will ask to join your party. You can accept and have them added to your ranks, or you can reject their offer and gain experience from them, just like any ordinary felled foe Pokemon. Thankfully, a Pokemon need not be in your party to gain experience. They will simply need to be in your party to gain all of the levels they acquired while in your reserve of Pokemon pals. as a helpful map for you. Outside of dungeons, there rests Post Town, where many story events take place, as well as Pokemon shops and destinations to break up any dungeon monotony. Outside Post Town is Paradise, a place founded by your partner Pokemon and yourself. In the game, you eventually can have sections of wasteland turned into expansions for Paradise. You can ask a certain fiend turned friend Pokemon to build specific locales in each expansion area, like fields to grow berries, training dojos to learn new moves, and a lot more. This adds to the lengthy replay value of Gates to Infinity. The graphical upgrade of this 3DS debut of the Pokemon Mystery Dungeon series makes for an appealing title to look at. The Pokemon have a fair amount of detail to them and animate well. Areas are suitably colorful, though there is occasional frame-rate hiccups to be wary of. The 3D effect of the Nintendo 3DS is nothing to gloat about, but it is sometimes nice to have on. The audio in the game is really nice. I remember a fair number of tracks, and have even listened to them outside of the game. That's how much I liked them. Overall, the presentation of Gates to Infinity is an excellent one. 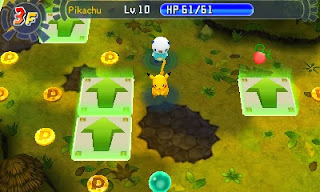 Pokemon Mystery Dungeon: Gates to Infinity won't excite or engage more experienced players of roguelike titles. It is really an easy game to play through, but Pokemaniacs and those new to the genre will find a lot to love. The story segments overstay their welcome at times, and the dungeons aren't the most interesting to explore, but the positives shine brighter than the negatives. 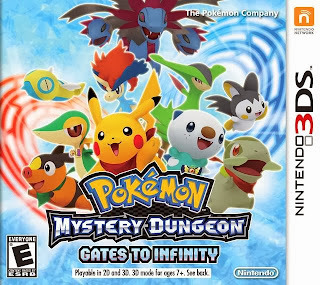 Those searching for a relatively safe addition to the Pokemon Mystery Dungeon series will find that the Gates to Infinity will be open for you.